The interview can be deadly boring, highly pretentious, or an act of indulgence. And then again, the interview can be an intentional farce, a brilliant insult, or perhaps a knock down drag out brawl. 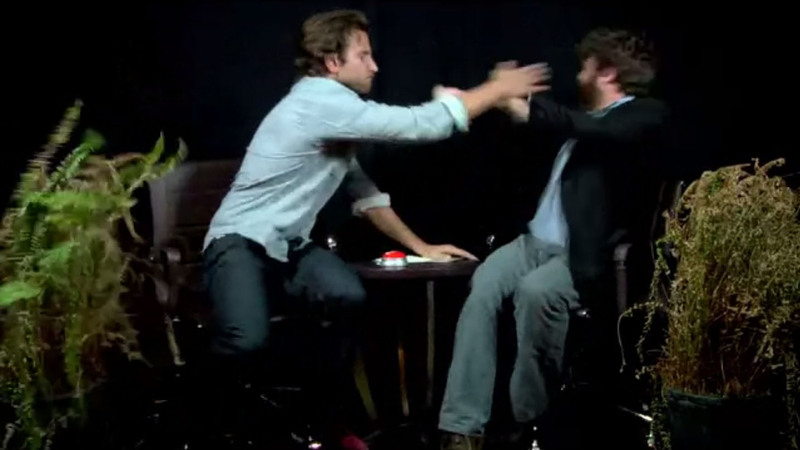 Between Two Ferns, hosted by Zach Galafianakis, is a tour de force of sick humor, generally outraging its guests into sheer rage and confusion. In a dialogue with Bradley Cooper, after a series of insults and invasion into the actor’s personal space, the result is a hilarious slapfest, except the intent is neither clear nor malicious nor really funny, just beguiling. The interview can be an open form for whatever you imagine it to be, although you would think that anyone who lands an interview expects thoughtful questions about their work, their ambitions, their raison d’etre. Forget it about it. The interview doesn’t need to be an act of self-promotion or a marketing plug or even a triumph of character. In the case of Between Two Ferns, it can even be a total annihilation of self and identity, reducing the interviewee to a grimace or flat out bluster. An interview can also be a foray into the unknown, an exchange of ideas, or even a nonsensical play of wit and creative dialogue. Best of all, the interview might take form as a performance, confusing everyone in it’s path.